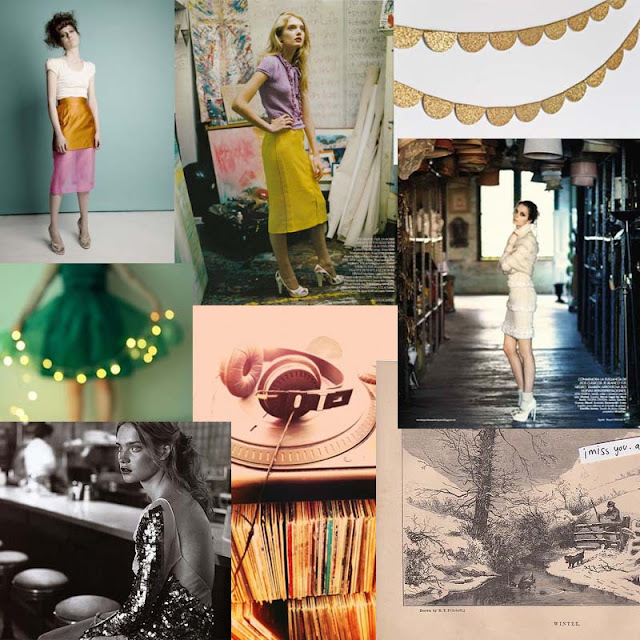 Here is my inspiration board for the January California Gift Show displays. The goal: to be a lot hipper than the ones that I did for July's show. I also want all of the floors (there are about 11) to be cohesive in their aesthetic. Displays need to be up at the LA Mart by January 18 and there are 2 windows on each of the 11 floors. That's 22 windows folks, which means a VERY busy December/January for me! How is it that you got this cool job? And do you need interns? It's a long story how I ended up with this job, but it started with an audition for reality TV. I'd love an intern...I'm hating life right now with how overwhelmed it feel!